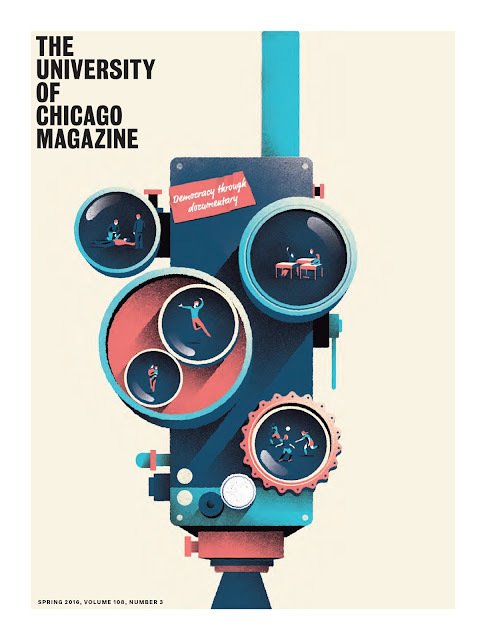 Borja Bonaque was commissioned by University of Chicago Magazine to do a cover illustration on the Spring Issue. The feature article is about Kartemquin Films, a collaborative center for documentary media makers. Kartemquin is celebrating 50 years of sparking democracy through documentary in 2016. The University of Chicago's Doc Films will present a Kartemquin Summer Film Series in honor of Kartemquin Films' 50th Anniversary.